Inspired by Fabric: Share Your Pet Love & Win! 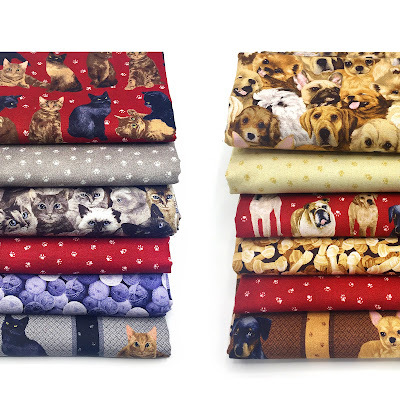 Cat and dog lovers, we have a new collection just for you! 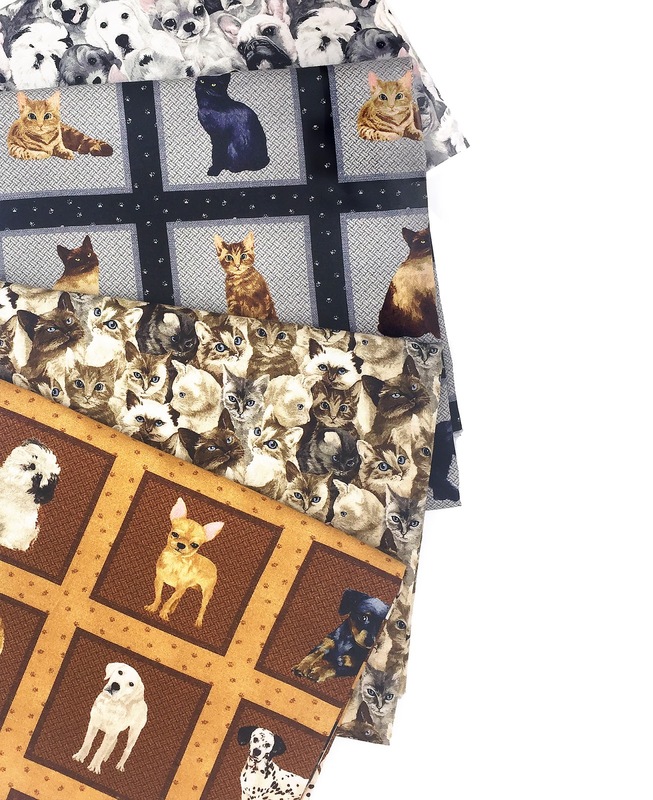 We know that your furry friends are part of your family--now they can be part of your quilts as well! 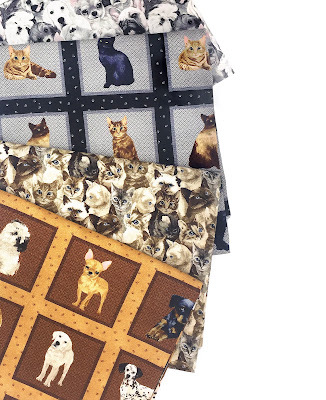 My Pet Family features both dog and cat prints, as well as themed coordinates—yarn balls, dog bones, and paw prints. Keep reading to find out how you can win a bundle of our cat or dog prints! that are perfect for fussy cutting squares. Share a Photo & Win! 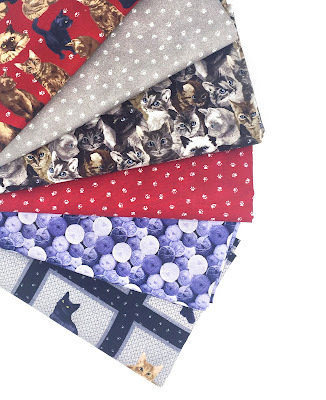 Win a fat quarter bundle of our cat or dog prints (your choice!). 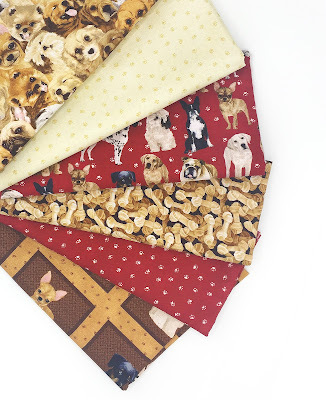 Share a photo of your pet with one of your sewing projects on IG (tag us and use #mypetfamilyfabric), on Facebook, or email us a photo at fabriquiltblog (@) gmail.com. Make sure you like or follow as well! This contest is open through Friday, June 22nd at 11:59 pm CDT. We’ll choose three winners from the submitted photos to receive a dog or cat fat quarter bundle. I love my animals! Thank you for sharing this wonderful fabric with us! I liked and follow you on facebook. I will post my pet and quilt picture there. Thank you! Love this...I'll be posting one on IG!